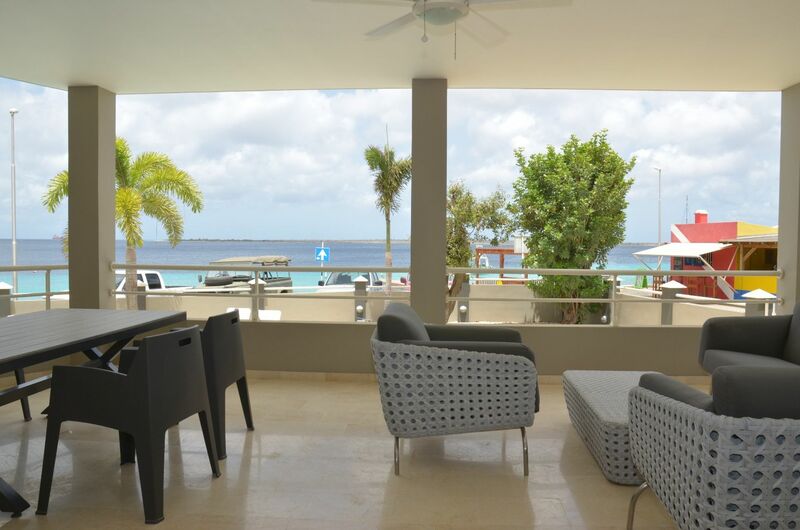 This spacious 3-bedroom, 3.5 bathroom condo, located on the boulevard in the heart of Kralendijk, offers all luxury and comfort you are looking for, within walking distance from shops and restaurants. When you enter the suite, you will be surprised by the luxurious atmosphere, the space and the incredible view. The open living area is completed by an open plan, fully equipped kitchen with modern appliances. Sit and relax on the comfortable furniture either in the living area or outside on the partly covered porch. The three bedrooms all offer an en suite bathroom, airconditioning and a queen size double bed, with top quality sheets. 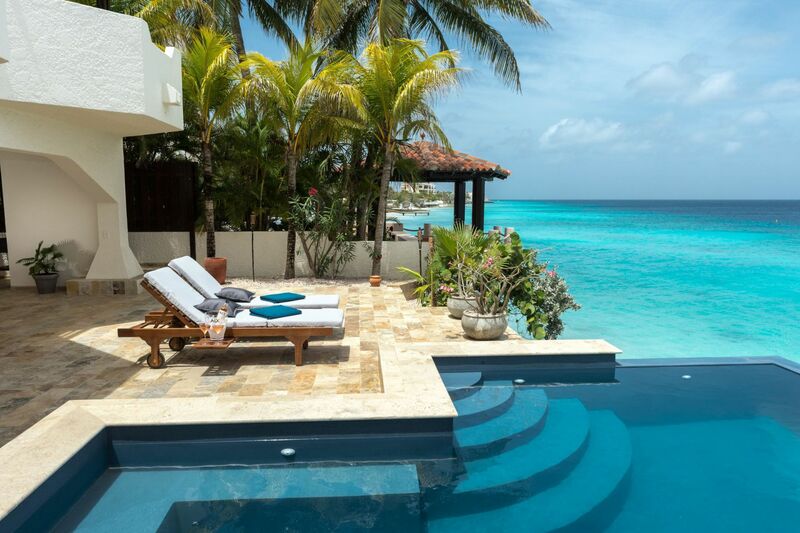 Jump into the shared swimming pool to cool down or relax on one of the lounge chairs around the swimming pool. If you want to go diving; just visit the neighbours! Our partner Dive Friends Bonaire is located next door, to take a course, rent gear or just have a coffee to find out where the best dive sites are located.